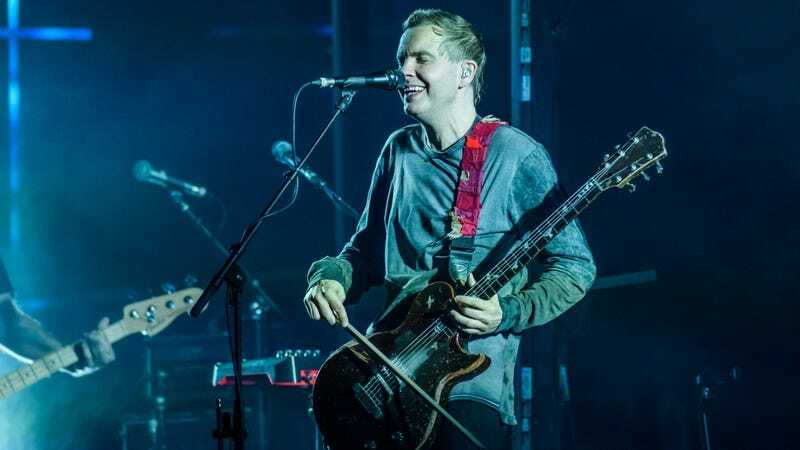 When you think “black metal,” you think Sigur Ros, right? No? Well, regardless, the Icelandic band is building on the more dissonant musical direction it explored on its most recent full-length album, 2013's Kveikur, by composing the score for Swedish director Jonas Åkerlund’s upcoming black-metal biopic Lords Of Chaos. Based on the 1998 book of the same name, the movie—which, appropriately enough, is being co-produced by Vice’s film division—will focus on the tabloid-ready, death-obsessed exploits of seminal Norwegian black metal band Mayhem, which over the course of only a few years graduated from your run-of-the-mill teenage rebellion to church burnings, suicide, and murder in the name of all things kvlt. Rory Culkin stars as Mayhem guitarist Euronymous, along with Emory Cohen as his bandmate/murderer Varg Vikernes and Jack Kilmer as Dead, Mayhem’s lead singer, whose extremely graphic suicide photo appeared on the cover of one of the band’s live albums. Musician Sky Ferreira co-stars as a new character named Ann-Marit, bringing some feminine energy to what, in real life, was an extremely male-dominated scene. You can see the poster for the film, obtained via Pitchfork, below.